Asheville, NC - The Greenville Drive controlled Monday's series finale against the Asheville Tourists from start to finish, and a complete performance led to a 6-1 win and a series victory. The Drive (10-9, 35-53) capped a strong road trip at the plate with 14 hits on Monday, and they jumped out to a 4-0 lead against Tourists (11-6, 38-48) starter Frederis Parra (0-1). 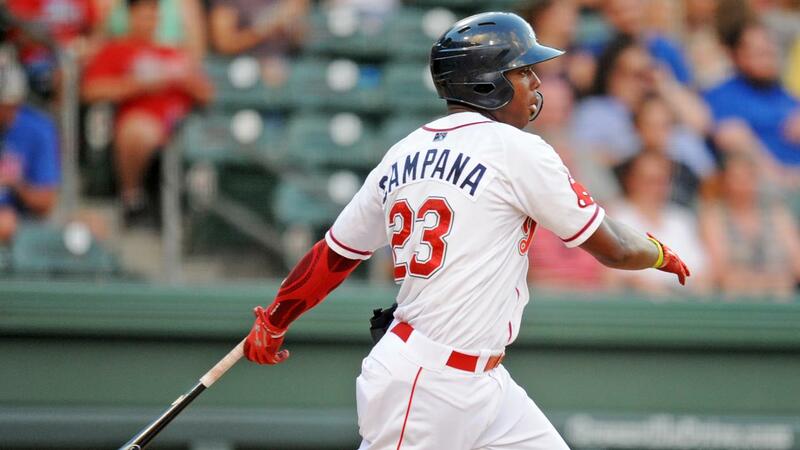 Marino Campana did most of that damage, as he hit a sacrifice fly in the first and belted a two-run homer, his team-high 14th of the season, in the third. Singles by Pedro Castellanos and Jordan Wren combined with an Asheville error in the fourth pushed the lead to 4-0. Those runs were more than enough support for Denyi Reyes (8-3), who continued his season-long dominance. He allowed just one run over six innings while striking out eight. Asheville struck for their only run in the sixth when Ryan Vilade doubled and came in on a single by Casey Golden. The Drive received RBI singles from Zach Sterry and Ryan Fitzgerald in the seventh and eighth innings, respectively. Lukas Young and Devon Fisher combined for three scoreless relief innings to finish off Monday's game. Campana went 2-5 with three RBI for Greenville. Kervin Suarez went 3-5 with two runs atop the lineup, while Fitzgerald and Sterry added two hits apiece. 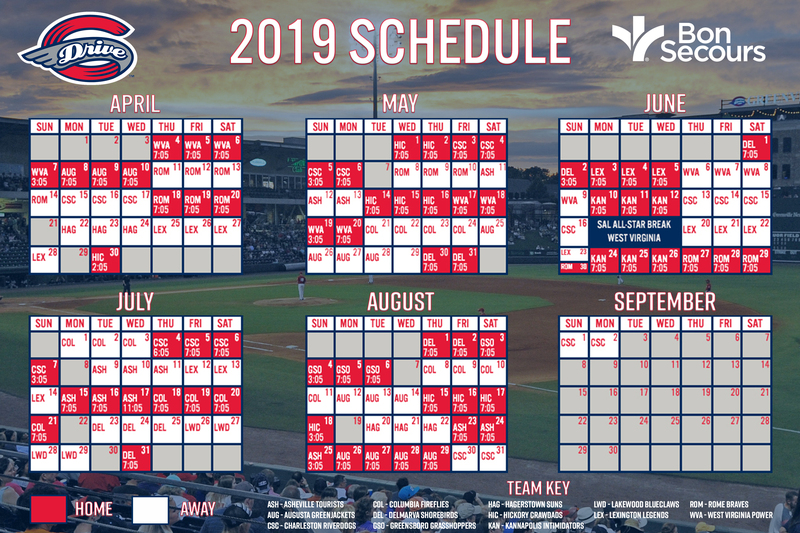 After an off day, the Drive will welcome the Rome Braves, an affiliate of the Atlanta Braves, to Fluor Field for a three-game series. First pitch for Wednesday's series opener is at 7:05 PM, and right-hander Kutter Crawford (3-4, 2.93) takes the ball for the Drive.